SwiftPOS, integrates with many 3rd party providers including, USB, RS232, Bluetooth and OPOS Bar Code Scanners. 3rd party suppliers include: DataLogic, Cipher Lab, Honeywell and Sektor. SwiftPOS integrates with all major brands of scales. All scales that SwiftPOS integrates with are Australian NMI (National Measurement Institute) approved. Label POS printing integrations includes printing product and price labels, member labels and weight labels at the POS and 1D & 2D barcode printing included. 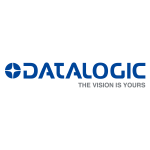 Datalogic is a global technology leader in the automatic data capture and process automation markets, specialized in the designing and production of bar code readers, mobile computers, sensors for detection, measurement and safety, vision and laser marking systems. 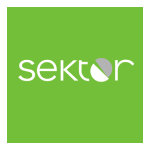 Sektor specialises in delivering innovative and efficient technologies for the retail, networking, security, healthcare, ergonomics, payments and mobility markets. Our passionate, dedicated and deeply knowledgeable team is second to none, offering unparalleled industry and technology expertise to help our partners build winning solutions for their customers. 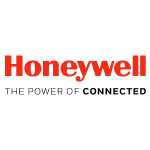 Honeywell’s story stretches back more than 130 years and encompasses several predecessor companies and the inspiring work of tens of thousands of people. But our core mission and values have been consistent: A vision for a secure, comfortable, cleaner, more efficient future… As a Fortune 100 company with $40.5B in sales in 2017, Honeywell has established a track record of strong financial performance over time. CipherLab is a world leader in AIDC solutions for a wide range of industries. CipherLab’s expertise is at the convergence of scanning, mobile computing, and business process design. This results more efficient supply chains, field sales services, retail operation and reduced cost of doing business in almost every sector. 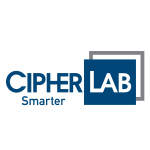 Our skilled network of reliable partners delivers successful solutions to small, medium and enterprise businesses that chose CipherLab for value, performance and quality.